Packets Don’t Lie: Do You Know What’s Really Happening on Your Network? When it comes to detection and response, you need full visibility into what’s traversing your network. 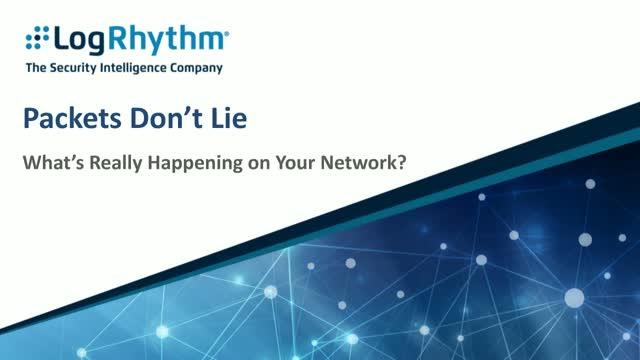 In this webcast, Dave Shackleford, senior SANS analyst, provides a functional review of LogRhythm’s NetMon Freemium. He also speaks to the NetMon Freemium’s network visibility capabilities and ability to recognize contemporary threats such as bots, beaconing, unencrypted sensitive information, and ransomware. Title: Packets Don’t Lie: Do You Know What’s Really Happening on Your Network?